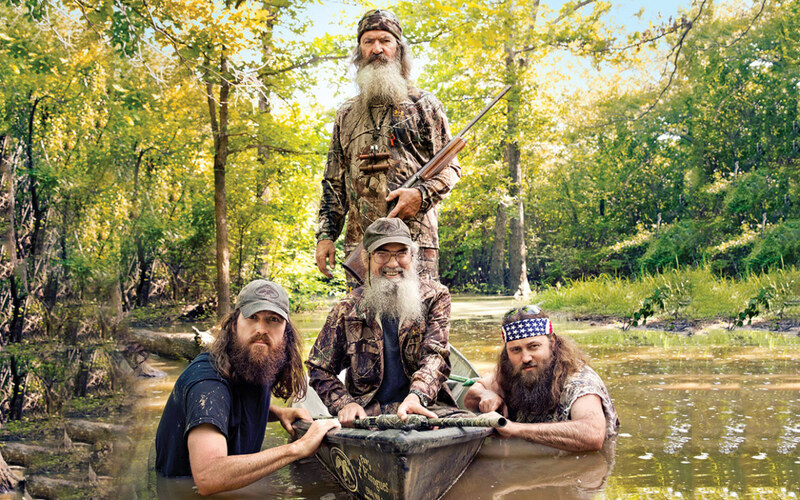 The television series is entirely centered around the Robertson family, a sweet gaggle of good ol’ southern folks living in Louisiana headed by patriarch and duck call inventor Phil Robertson who took the industry by storm with his definitive duck call company Duck Commander. The Robertson are bearded, camo-clad self-proclaimed Protestant Christian rednecks and despite what your intuition might tell you they’re awful nice folks. Duck Dynasty gives viewers a peek into their crazy everyday doings as they work at the Duck Commander headquarters. The mixture of charming, captivatingly unique personalities and on-point editing makes this show a consistently hilarious must-see. 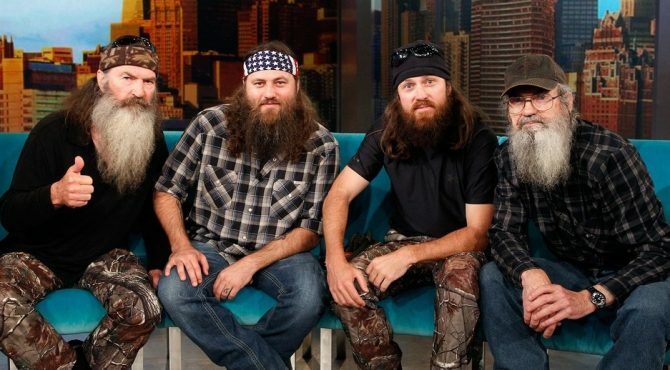 But don’t be fooled – the Robertsons aren’t dumb hillbilly country folk. 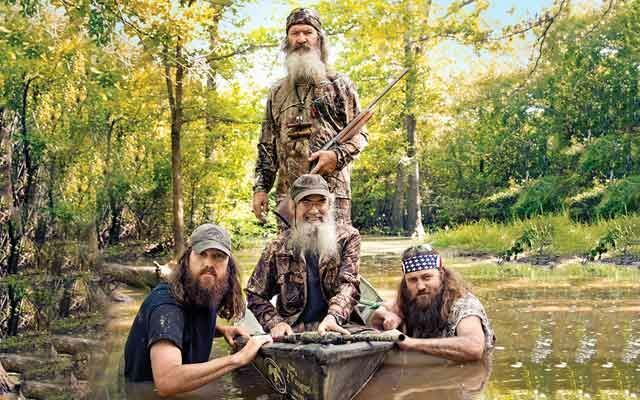 Members of the cast now have three books on the New York Times Nonfiction Bestseller List, and Duck Commander mama, Miss Kay, even has a cook book out for sale. And there are more on the way with three other books planned for sale by next year. These include Phil Robertson’s second literary notch Phil-Osophy, a collaborative effort by Robertson women Miss Kay, Korie, Missy, Jessica, and Lisa titled The Women of Duck Commander, and Faith in the Duck Blind, by Jase Robertson. Some have criticized the family for going overboard on the merchandising, but others say that the Robertsons are just a bunch of big ducks in too small a pond. Their products are selling and spreading like wildfire. They’ve put out t-shirts by the hundreds, posters, hats, greeting cards, air fresheners, bobble-heads, bracelets, coffee mugs, cooking seasoning, koozies and, of course, they’re bread n’ butter duck calls. But is this all bordering on the side of overkill? Over-exposure is always dangerous territory, and customer fatigue can blow your brand right out of the sky before you can say “hey.” Only time will tell, so why not kick back in your camouflage-colored easy chair, stroke your beard and enjoy the show while it lasts. Previous Post:New TV Shows & Movies Arrive to Netflix! Tips to make your Long Distance Relationships Stronger! Frozen – A Walk Through Human Psychology! Will Artificial Intelligence Unlock the Future?